Just one week ago, I was waking up in Colorado heading back from a wonderful weekend camping trip. 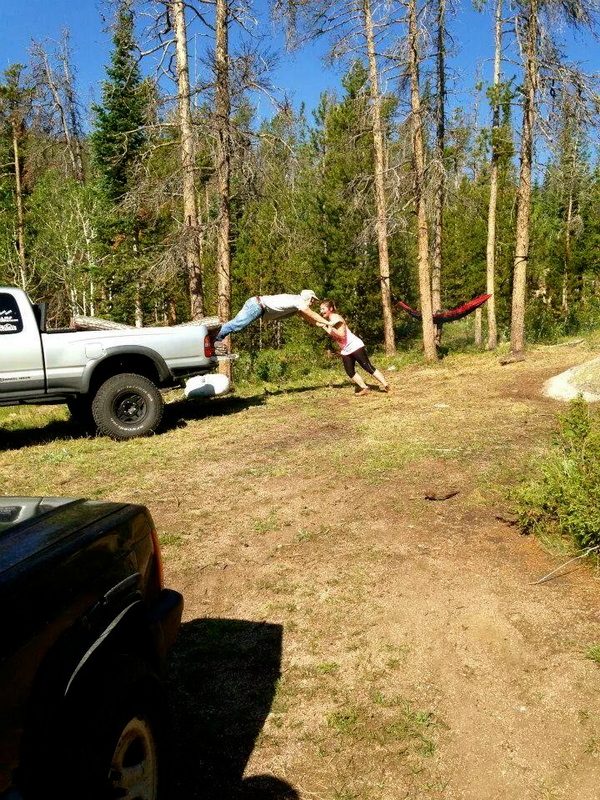 It was a great trip filled with good food, a couple of great friends, slack-lining, sling-shooting, and sleeping under the stars. This trip went so smoothly (aside from the ominous thunder that thankfully rolled away), and I credit planning ahead and preparation for that. The day before we headed out we ran a few errands to REI and the grocery store to pick up some missing gear and food for our trip. I found these in REI and thought they were too funny. 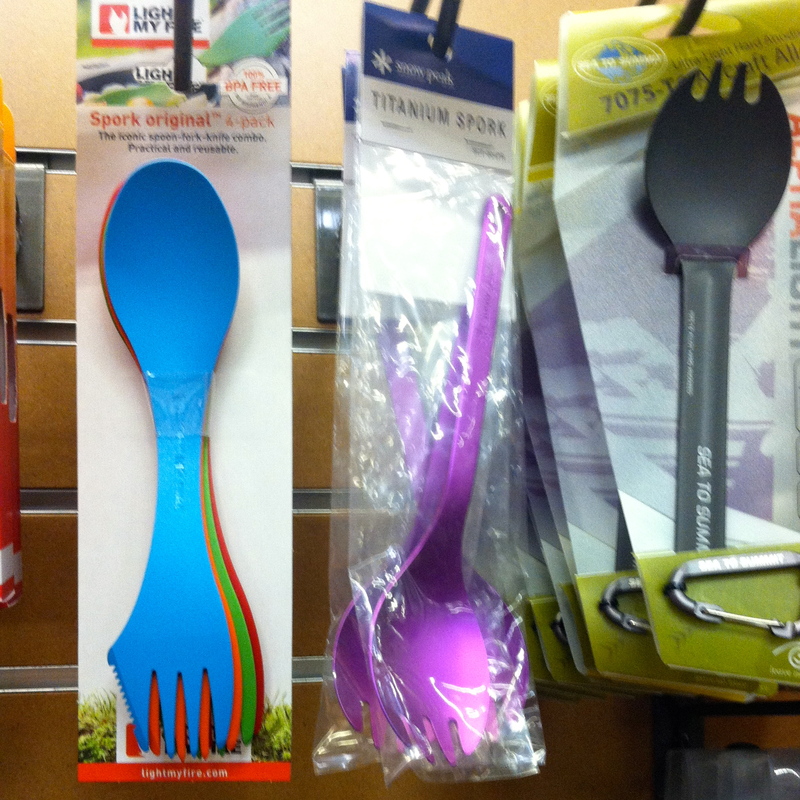 My sister and I have an inside joke that I can summarize to refusing to call these utensils “sporks” in favor of their true name “foons.” I did not buy one of these on account of my sister already buying me the middle titanium “foon” for my birthday one year. At the grocery store, my boyfriend and I picked up some vegetables so I could make Vegetarian Campfire Kabobs and baked potatoes while he bought some lamb chops to grill. 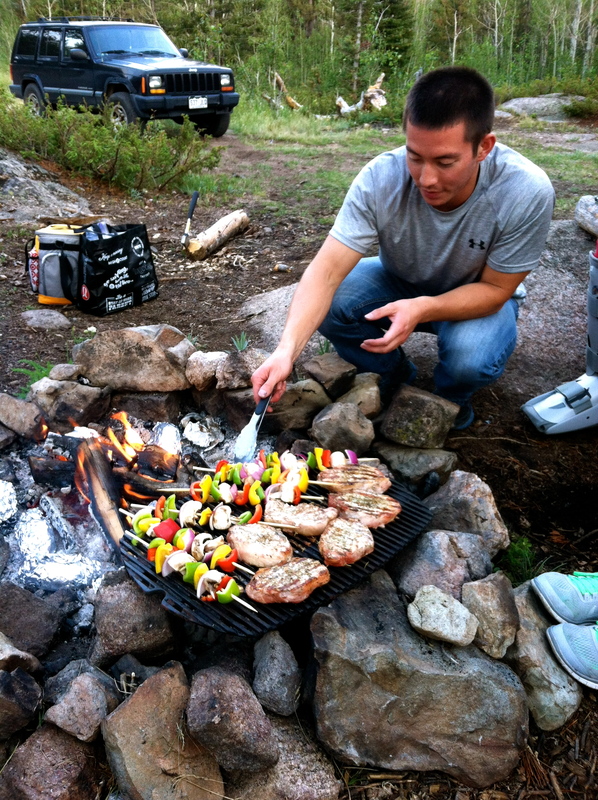 The morning before we headed out to Red Feather Lakes, we prepped dinner for that night. 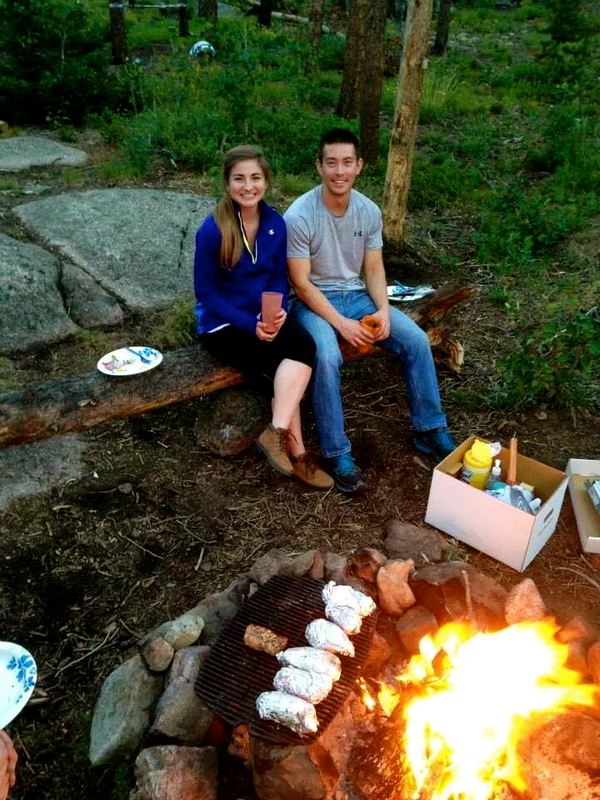 He seasoned the meat and I got to slicing and skewering my Vegetarian Campfire Kabobs. First, begin by washing all veggies and de-seeding the bell peppers. Then, proceed to slice the peppers into thick proportional chunks that will not fall apart or split when they go onto the skewer. Then, slice the onion in quarters and peel the layers from each other. For the mushrooms, I just sliced them in half, but feel free to keep them whole or use just the caps. 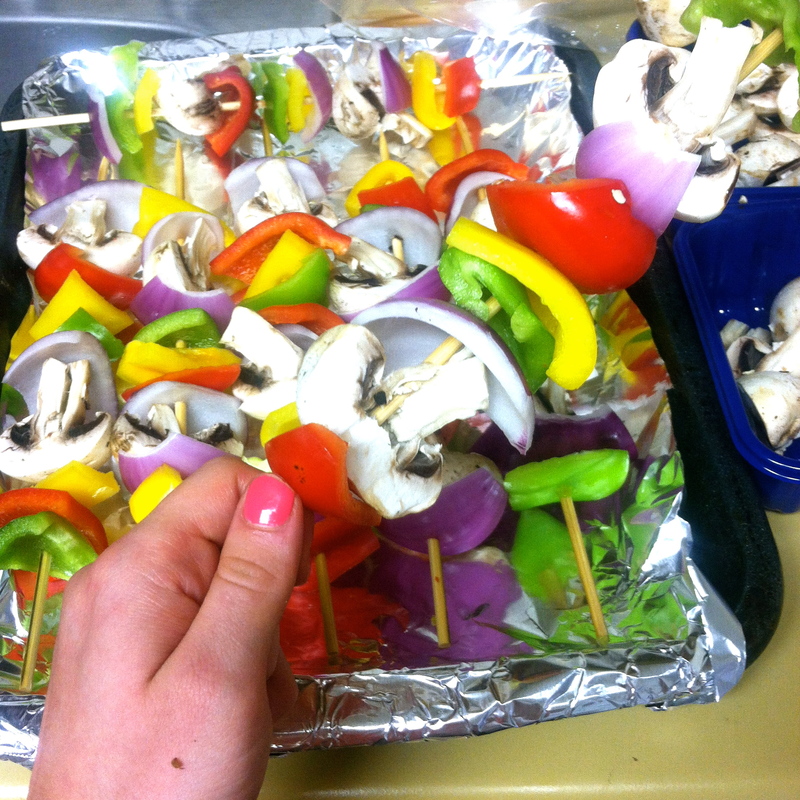 After slicing everything, I began to assemble the kabobs. I used wooden skewers that I pre-soaked for about 20 minutes. This is necessary so the skewers do not burn or catch fire when cooking. 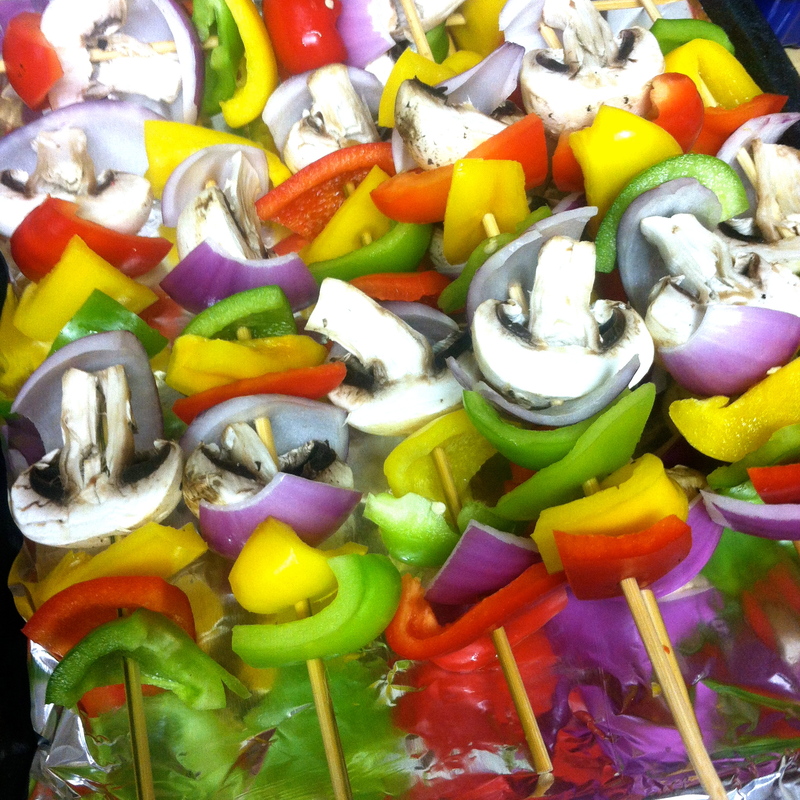 Like I have said before, I am a very visual eater, so these kabobs really made my senses happy with all of their various colors and textures. Pre-assembling these are a real time saver once you get to camping. 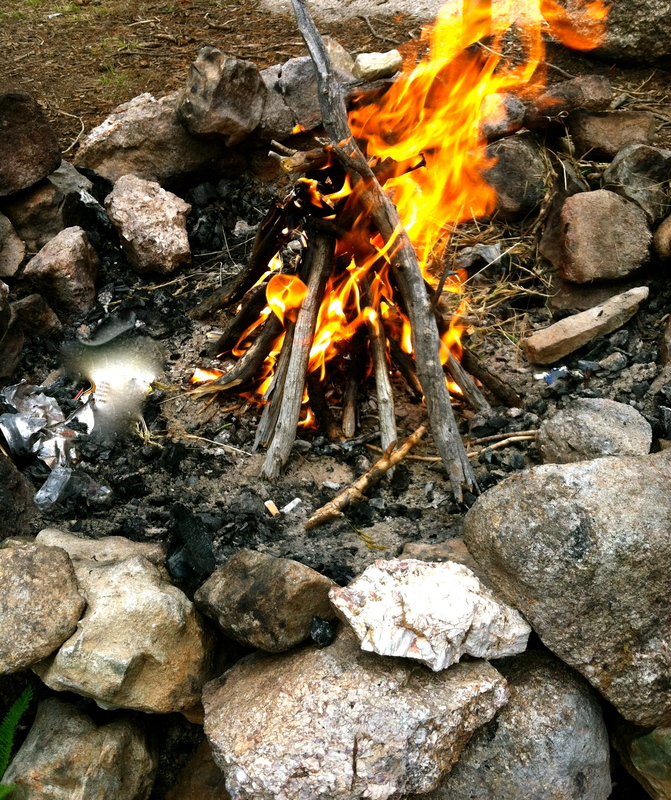 Once everyone made it to our established campsite and the fire was finally burning (after a few storm clouds passed over), we began cooking. We put the kabobs and meat on a grill grate over some hot coals to cook while the potatoes and sweet potatoes baked straight in the fire wrapped in foil. It was a delicious dinner that was way healthier than the typical hot dog and potato chip menu. I did indulge with s’mores later that night though, because I can only suppress my sweet tooth for so long. It was not until I got back home that I discovered something so wonderful on Pinterest that I must try the next trip. I must admit… Oreos are my weakness. I know they are full of sugar and chemicals, but I adore anything Oreo. What can I say, I am only human. Anyway… we finished off the night talking around the campfire, attempting to stargaze, and thanking those stars above us that the ominous thunder we experienced earlier in the day was no longer a threat. That way, we could all get a peaceful summer night beneath the stars.